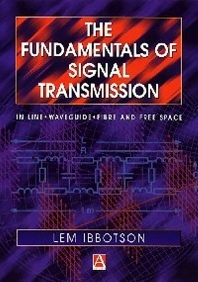 The Fundamentals of Signal Transmission presents a discussion of the main forms of signal transmission media. Twisted pair, coaxial line, optical fibre, waveguides and freespace propagation and antennas are covered using a standard format. After a discussion of signals in general, the nature of wave propagation is examined. These fundamentals are then related to the specific transmission types. Mathematics is kept as simple as possible and is complemented by ample qualitative explanation; where necessary more detailed mathematics can be found in the appendices. Some knowledge of basic electronic circuit theory and field theory is assumed. Written in an informal and accessible style, 'The Fundamentals of Signal Transmission' provides all undergraduate electronics engineers with a concise overview of electromagnetic signal transmission.